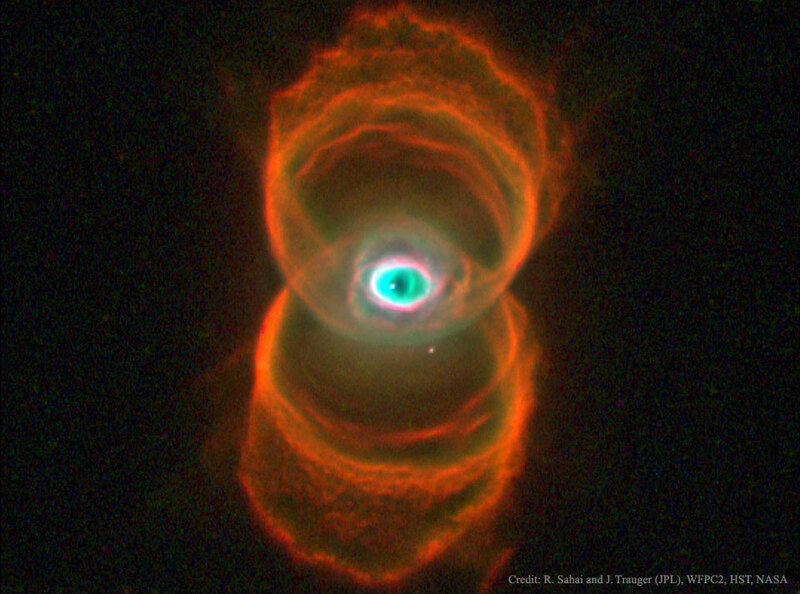 Explanation: The sands of time are running out for the central star of this hourglass-shaped planetary nebula. With its nuclear fuel exhausted, this brief, spectacular, closing phase of a Sun-like star's life occurs as its outer layers are ejected - its core becoming a cooling, fading white dwarf. 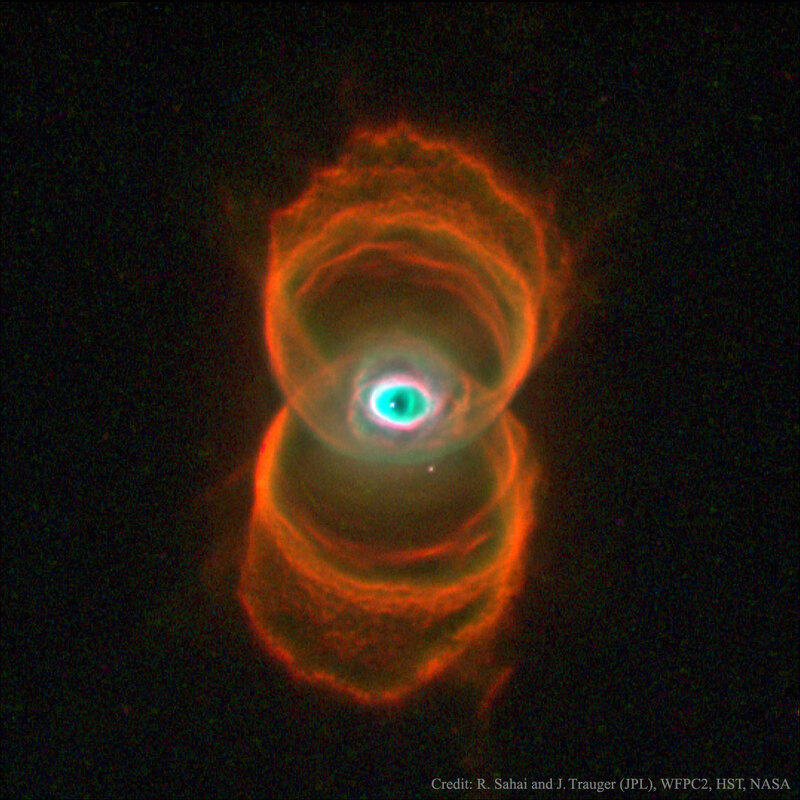 In 1995, astronomers used the Hubble Space Telescope (HST) to make a series of images of planetary nebulae, including the one above. Here, delicate rings of colourful glowing gas (nitrogen-red, hydrogen-green, and oxygen-blue) outline the tenuous walls of the hourglass. The unprecedented sharpness of the HST images has revealed surprising details of the nebula ejection process that are helping to resolve the outstanding mysteries of the complex shapes and symmetries of planetary nebulae.